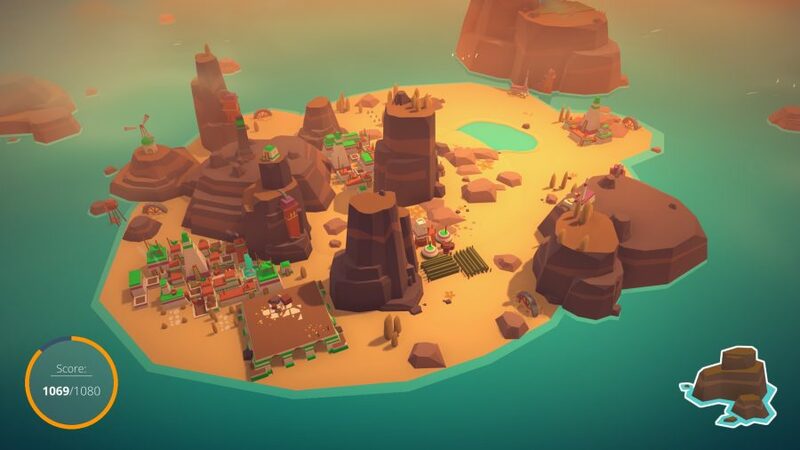 Islanders is a city-building game at heart, but it subverts the genre in a few wonderful ways in order to become a ludicrously soothing experience. You start off small: your first settlement is just a tiny speck of land in a vast sea of blue, but it’s yours to shape nonetheless. With a short list of buildings to construct you get started by amassing points for every one you place. 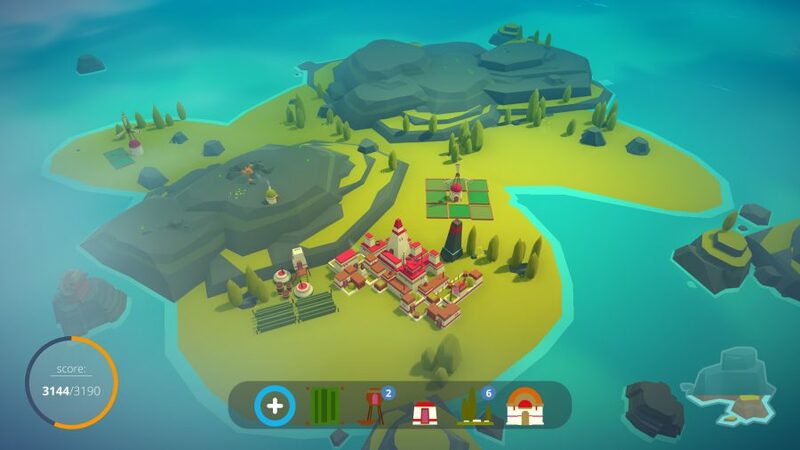 Each time you hit a points threshold, you’re given more buildings to play with, steadily gaining structures from a range of industries – like farming, brewing, and masonry. Eventually, you can unlock larger structures like circuses and taverns. The catch is that location is vital when assembling your city. To rack up the big scores, you need to learn how to place buildings strategically: some need to be next to existing natural features like groves of trees and sandy alcoves, while others should be close to complementary structures. Certain buildings have a negative influence over others, so you’ll find yourself losing points if you place a cluster of buildings in the same industry too close together, or if you put opposing buildings near each other. Definitely don’t place your circus near any mansions, or the bourgeoisie will have your head – and your points. The emphasis on accumulating points may appear to clash with the serene aesthetic of Islanders, but it’s never a stressful endeavour. There’s a subtle intelligence to how this is achieved as, despite the unwavering calmness, the game constantly pushes you to progress, and does so without introducing arbitrary mechanics. The same can’t be said for many games. The sandbox purity of Islanders has been enough by itself to motivate me to keep growing my miniature civilisation. Eventually, you’ll see your point combos go from single to triple digits, making you feel like a bountiful god as you drop another fountain on your unsuspecting civilisation. 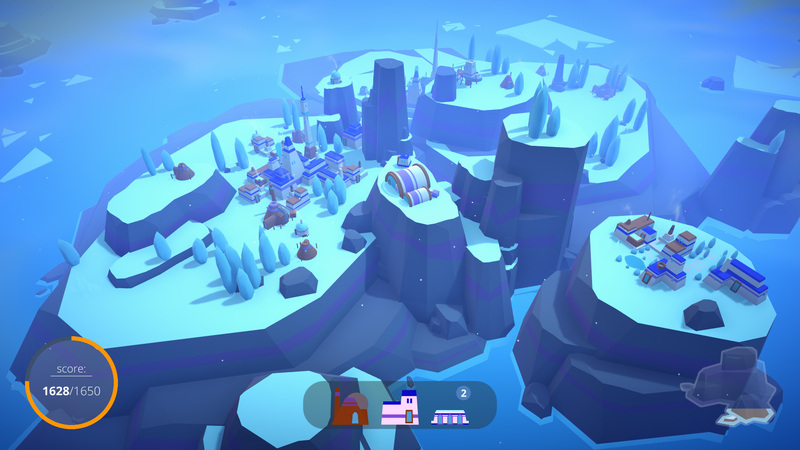 Once you’ve accumulated enough points, you’ll be able to move onto larger islands of varying biomes. 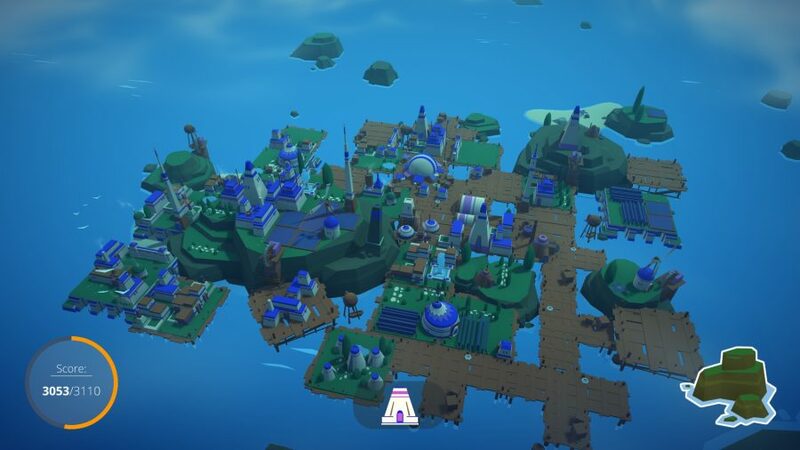 There’s a melancholic moment to be had when saying goodbye to your lovingly crafted and thriving metropolis, but if it’s too much you can linger on, pottering around your townships until you’re ready to progress or start afresh. 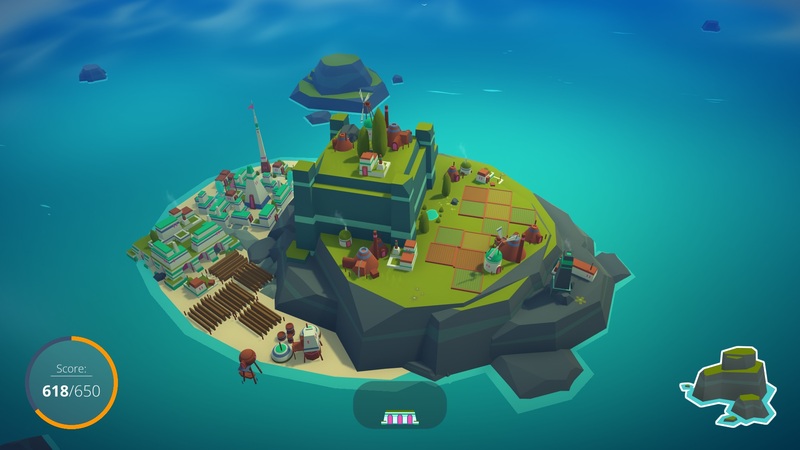 You’ll be supplied with buildings even after you’ve hit the milestone to move to the next island, so you can keep tinkering until your run out of space or buildings – I seldom left an island until I was clean out of options. 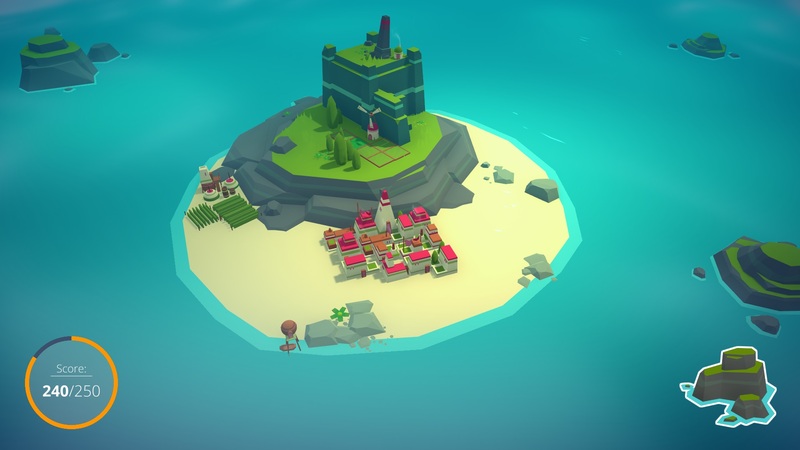 Islanders is a game that’s more than happy to indulge that form of play. Its tranquil nature means it’ll only nudge you forward to see new sights, but it won’t push you if you aren’t ready. That said, progress is built into the game thoroughly, as each building you place is permanent, and there’s no undo button. As someone who gets anxious as I pursue perfectionism in city-builders, the finality of everything you do in Islanders is surprisingly freeing. Huh? I know. As I have no choice but to keep moving and not overthink my actions the game has taught me to live with my choices. Failure isn’t a demotivator in Islanders, either. It feels like a natural stepping stone as you wave goodbye to your little civilisation that just wasn’t meant to be, rather than a loss of progress. The nature of moving between islands and starting again never feels stressful, and is almost roguelike in its cycle. With every clean slate it offers, you have a bigger knowledge base to draw from to construct a beautiful, polygonal urban paradise. 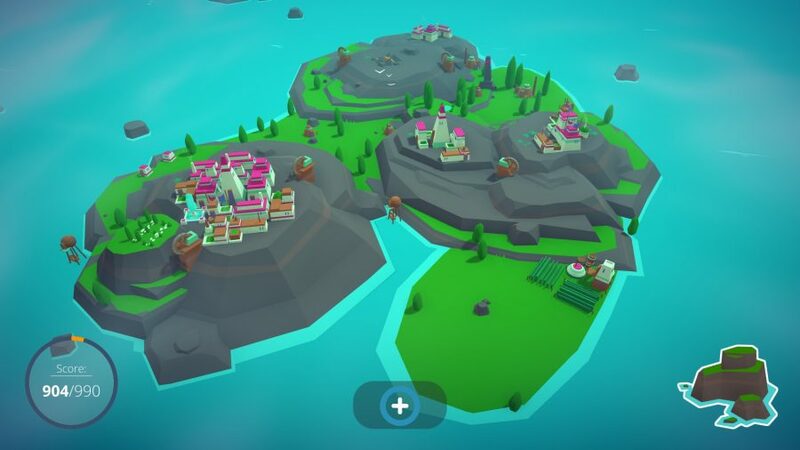 By ditching the emphasis on resource management, Islanders discovers an utterly relaxing experience, but one that has room for strategy should you go looking for it. It’s been the perfect palette cleanser between bouts of Sekiro for me.